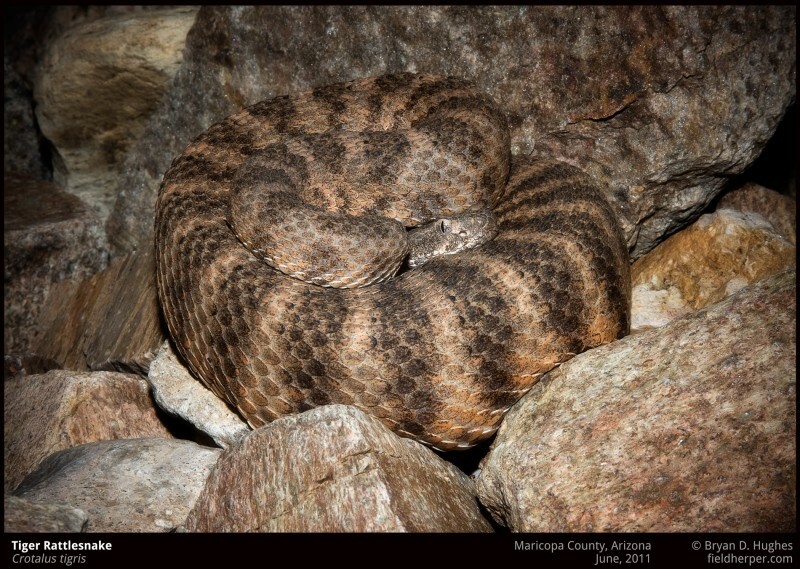 On a night time desert hike, taking part in a herpetological survey of a local mountain range, a friend of mine found this tiger rattlesnake sitting in in the rocks. The orange coloration is atypical for this locale, so it was cool too see, not that I’m not happy to see any tiger rattlesnake at all. This entry was posted on Wednesday, December 21st, 2011 at 8:52 am	and is filed under Research, Snakes. You can follow any responses to this entry through the RSS 2.0 feed. You can leave a response, or trackback from your own site.